A mobile-first service to create and discover plans with your friends. 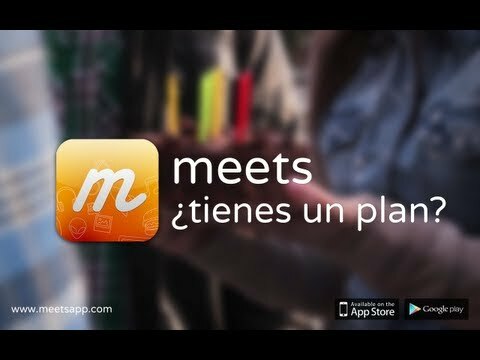 “meets” is a free application (iOS, Android, Web) that allows users to organize plans with their friends. Manage assistance, share locations, pictures, comments or arrange some details of the plan among us like dates or place are some of the things a user can do on meets. Nowadays, to meet with friends you have several alternatives which you should combine together: Whatsapp, email lists, Facebook, SMS, phone calls, Flickr, Foursquare, etc. No matter whatever you do that your plan will be split into too many applications, long email threads or infinite chats on Whatsapp. “meets” is changing the way in which people create and discover events with their mobile devices, as is the first one in being focusing on the event planning managed by users. One of the key factor of meets is that users can create plans and invite whoever form their contact agenda, even if they are not using meets yet. We send email, SMS and facebook invitations with no cost for the user, and the can set RSVPs even without have to install the app.